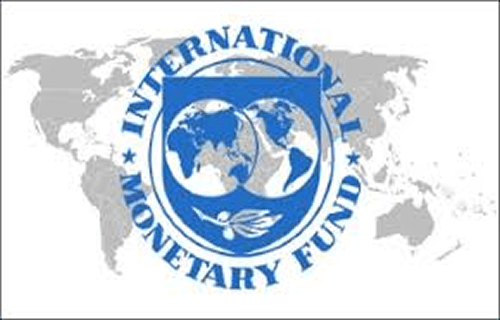 The International Monetary Fund (IMF) yesterday urged Nigeria to watch her rising debt service/ revenue ratio with a view to taking steps to halt the rise. While admitting that Nigeria’s Debt /GDP ratio of between 20-25 per cent was within a tolerable limit, the Fund noted that debt servicing, which takes about 50 per cent of revenue, was certainly high and admonished Nigeria to work on it. IMF Senior Resident Representative in Nigeria, Mr. Amine Mati, pointed this out yesterday in Abuja at the public presentation of the “Regional Economic outlook: Sub-Saharan Africa, CapitalFlows and the Future of Work”. “Nigeria’s Debt /GDP ratio at between 20-25 per cent is quite low, but debt servicing, which takes about 50 per cent of revenue, is certainly high”. He predicted that recovery in sub-Saharan Africa shall continue amidst rising risks as growth momentum improved, most notably for oil exporters, mainly in Nigeria, but remained subdued in South Africa . However, he noted that as magnitude of capital flows to the region increased, the volatility also increased. “Adjustment has relied on spending compression rather than revenue mobilization,” adding that the nation had huge revenue potentials that remained untapped. Mati raised a concern about current trade tension between the United States of America and China and submitted that the escalation of trade tensions could threaten the recovery. “If the tensions persist, it would have potential impact on Gross Domestic Product (GDP)”, he said. In a remark,Director General, Debt Management Office (DMO), Ms Patience Oniha, said issues in the international markets also affected Nigeria’s borrowing. She said that the U.S dollar interest rates were rising and foreign investors in Nigeria were exiting and selling out because of the rise in these interest rates. She noted that from 2017, the Federal Government increased its level of external borrowing and reduced domestic borrowing because it was cheaper to do so. Oniha said that the nation was borrowing externally at fixedinterest rates and so when rates increased, it would not affect the portfolio already established. “Some people have raised concerns about theexchange rate risks on our external borrowing. For instance, they say if theexchange rate moves to N400/$1 in the next five years, how would we handle it? “My answer is that before, the share of the external debt was small, oil prices were good, and production was good. So, really, there was no need to be worried. “But now, there is need to focus on that. In the new Strategy Plan we have, there is huge focus on risks.Portfolio risks, contingent liability risks, interests risks. Before, we were not focused on risk management. We have even asked for assistance from the IMF, from the US Treasury, so they can assist us in designing and training us.” Responding to concerns of low revenue in the country, she said that the challenge of increasing revenue in Nigeria should not be left to the government alone. A presentation by the Deputy Governor, Policy, of the Central Bank of Nigeria (CBN), Dr, Joseph Nnanna, outlined the inherent risks in portfolio investments which, he said, were too volatile to be depended upon.